*My dad was a Lancaster bomber flight engineer with No.75(NZ) Squadron during WW2 and as a child growing up in the 1950s I never tired of asking him about his experiences. I wanted to know where in the aircraft he sat, what his role was, what flak was like and even how aircraft were able to fly. By the time I left primary school my interest had started to wane and when he died in 1974 at the age of just 55 I thought that any chance of finding out more about his experiences was lost. I was left with a handful of photographs, his log book and the name of his pilot, Bill Mallon. In the spring of 2012 I acquired Bob’s service record and decided to document as much as I could of his war-time experiences so that his grandchildren, who never met him and for whom the Second World War was ancient history, could learn about this momentous part of his life. What was intended to be a single-entry blog for the benefit of close family now has 28 chapters, 16 appendices and more than 50,000 words and has unearthed incredible stories of courage, sacrifice and disappointment. 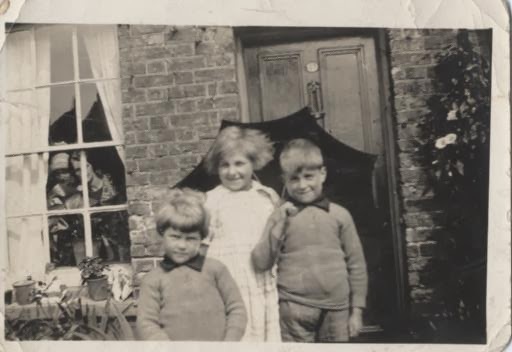 Robert Alfred Jay, the youngest of three children, was born on the 3rd April, 1919, 6 months before his dad was demobbed after 4 years in the army and just 2 months before Alcock and Brown’s historic trans-Atlantic flight. He left school shortly after his 14th birthday and on the 23rd April 1933 he started a seven year apprenticeship with Grimsby Motors. 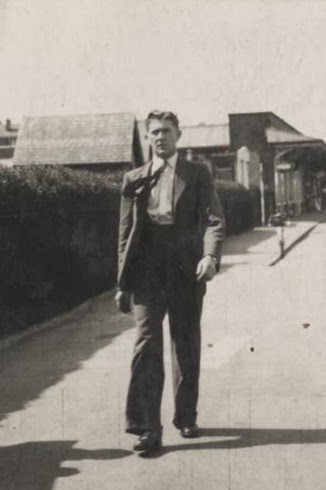 He was released a year early, nine days after his 20th birthday, on the 12th April 1939 as a fully qualified motor mechanic and joined the local fire brigade. Along with all young men of 20 and 21 Bob had to register at the local Ministry of Labour office under the terms of the Military Training Act (1939). This act, passed an the 26th May 1939 in the face of imminent conflict in Europe, required all men born between 4th June 1918 and 3rd June 1919 to register, after which they were to be called up for 6 month’s full-time military training, and then transferred to the Reserve. It is not hard to imagine how his parents would have felt having lived through the horrors of the ‘Great War’. To ensure that the call up did not take men away from vital industries and services the Government introduced a “Schedule of Reserved Occupations” – men meeting the age criteria laid out in the schedule were “reserved in their present occupation”. As a full-time fireman Bob met the criteria in the schedule and remained in civil life. Being politically aware Bob had understood the threat posed by fascism since before the outbreak of the Spanish Civil War in 1936 and had followed closely the rise of Hitler in Germany during the 1930s. It was inevitable that he would join the armed forces and play his part at some stage. By 1942 German troops had advanced as far as Stalingrad, the mass murder of Jews was well under way and the Japanese were overwhelming large areas in the Far East. There was wide-spread feeling in Britain that the fight should be taken to the enemy in Europe, rather than appearing to await the outcome of the struggle between Germany and the Soviet Union, and Bob probably saw joining Bomber Command as the way to do this – and maybe he found the prospect of flying quite appealing too. As the war progressed there was an increasing need for men and women to join the armed forces and Bob volunteered to join the RAFVR (Volunteer Reserve). He was instructed to attend RAF Padgate, near Warrington, where he was assessed and interviewed by No. 10 A.C.S.B. (Aviation Candidate Selection Board). His service record shows that at the end of the process he was “Not recommended for aircrew duties”, a decision generally made for ‘aptitude, educational or medical’ reasons. He therefore remained in civil life. The reason for this recommendation does not appear on his record of service but the family story is that it was because of an elevated temperature, something he had always had, but we will never know for sure. Bob did talk about his lack of mathematical skill preventing him from becoming a pilot, something he was keen to do, and this must have been part of the reason he was so desperate for his children to do well at school. Although the majority of pilots (and navigators and bomb aimers) were drawn from ex-grammar school and university volunteers, I recently met the son of a pilot whose father had a similar background to Bob, i.e., left school at 14 and completed a trade apprenticeship. Undeterred, Bob reapplied ten months later and was instructed to attend RAF Doncaster where he was assessed and interviewed again, this time by No. 1 A.C.S.B. He was successful and was “recommended for training as a Flight Engineer”. He was instructed to continue in civil life until further notice. A few weeks later he was instructed to return to RAF Doncaster for two day’s assessment, which included a medical which he passed with ‘medical category grade 1’. He was enlisted ‘D.P.E.’ (for the ‘Duration of Present Emergency’) and ‘mustered’ as ACH/F.Eng (Aircrafthand/Flight Engineer) with the rank of Aircraftsman Second Class (AC2) grade A (the lowest grade). Having sworn his allegiance to King and Country he was issued with service number 1596172, placed on reserve and once again instructed to return to civil life until further notice. He later received a letter from the Air Ministry to welcome him into the R.A.F. and advise him on preparation for his ‘Air Force career’. Received basic RAF kit and ‘Service Dress’ uniform, commonly referred to as “Best Blues”, including the white cap insert, clearly visible later on his wedding pictures, that identified him as trainee aircrew. He would have been instructed to mark every item of kit with his service number and be expected to keep every item spotlessly clean in readiness for regular inspection. Over the next few weeks he faced a rigorous daily routine of fatigues, inspections, training drills, lectures and assessments. I can’t imagine Bob taking to this very well! As an AC2 (grade A), Trade Group V (Aircrafthand/Flight Engineer) his pay was 3 shillings per day plus sixpence per day war pay – considerably less than his pay as a fireman but he did not, of course, have to pay for his upkeep. He would collect his pay at the fortnightly pay parade. The piece of kit that would have been the starkest reminder of the perilous nature of the task ahead was the pair of identity discs. Manufactured from fire-resistant material and with the airman’s religion clearly punched between his service number and name, none of the recruits could have been in any doubt why they had to wear these once they were flying. Having completed the first stage of his training Bob was then posted to No. 7 I.T.W. (Initial Training Wing) at RAF Newquay, in Cornwall. The purpose of this training was to ‘lay a foundation of discipline, physical fitness and mental alertness’ and provide a ‘sound basic knowledge of the RAF. Along with other trainees Bob would have been issued with his ‘War Service uniform’ (“Battledress”) and, later in the course, with flying clothing, which was needed for training purposes. Trainees were assessed throughout the course and examinations had to be passed prior to further posting. Bob successfully completed the course and his next posting was an attachment to RAF Wrexham (from the 8th to the 15th April 1944) but it is not clear why, especially as RAF Wrexhamwas used for night fighter training. Bob married Vera Stephenson in St James Church, now Grimsby Minster, on the 19th April 1944, about a year after it had been badly damaged by a German bomb and 4 days after returning to Newquay from Wrexham. Having completed his I.T.W. training and attachment to RAF Wrexham Bob was posted to No. 5 S.o.T.T. (School of Technical Training) at RAF Locking near Weston-super-Mare where he carried out the first phase of his ‘trade’ training as a Flight Engineer. This phase consisted of ten weeks of ‘preliminary’ training on airframes, engines, carburettors, electrics, instruments, hydraulics and propellers. This was followed by one week’s leave. He was posted to No. 4 S.of T.T. at RAF St Athan in Glamorgan, S. Wales to complete the second and third phases of his flight engineer training. Phase 2 consisted of 7 weeks of ‘intermediate’ training in engines, airframes, hydraulics, propellers, instruments and electrics, followed by one week’s leave. Having completed this phase of the course Bob was reclassified on the 1st of September as Aircraftsman Second Class (AC2) grade B. His pay would have increased from 3 shillings a day to 5 shillings a day (from 15p to 25p). The final phase consisted of 7 weeks ‘advanced’ training on a specific service type aircraft and included a week at the factory of an aircraft manufacturer (‘Makers Course’) but there is no record of this in Bob’s service record. This was followed by a week of written and oral exams. Having successfully completed the course and passed his exams Bob attended a ‘passing out’ parade where he was presented with his Flight Engineer’s brevet and promoted to the rank of Sergeant, the minimum rank for aircrew. His pay was increased to 12 shillings (60p) a day. If Bob had achieved a mark of 70% or more in the exams then he would have been considered for a commission – his mark was 66.1%. Normally the flight engineer was posted to the H.C.U. a few weeks before the established crew so that he could get some flight training in. Bob ‘crewed up’ some time in late December but his Log Book shows that he didn’t fly with his pilot Bill Mallon, and presumably the rest of his crew, until the end of January. His first three flights as a trainee flight engineer in a Lancaster bomber on the 17th, 18th and 21st of December 1944 were with pilot S/L Alban Chipling. Among the exercises they carried out were 3-engine landings, training which would prove invaluable on the 27th March 1945 when my dad’s aircraft lost an engine to flak on a daylight raid on Hamm in Germany. Shortly afterwards S/L Chipling was transferred to RAF Hullavington, near Chippenham, where, after a distinguished flying career and only a couple of weeks before the end of the war in Europe, he lost his life in what appears to have been a tragic accident. Bob had a total of just 59 hours flying time, 36 hours daylight and 23 hours night flying, between mid-December and the end of February and only 35 hours of this were ‘solo’ flights with his crew. Pilots obviously had more flying hours in training, though nowhere near the number required in peacetime. All entered in the log book as a series of numbered exercises. These were often carried out with experienced instructors (normally crew who had completed an operational tour) and then repeated ‘solo’. Whenever Bob climbed into the aircraft he would have with him his parachute and his emergency repair tool bag and before, during and after every flight he would have to complete a four page Flight Engineer Log. Having successfully completed their H.C.U. training the crew were considered ready for operational duty. Bob was officially declared qualified as a Flight Engineer for the Lancaster Marks I and III with effect from 1st March 1945 and was immediately assigned to No. 72 Base which, as well as Langar, included the airfields RAF Bottesford and RAF Saltby. Four of the seven in Bob’s crew were from New Zealand so it was no surprise a few days later when they were posted to RAF Mepal in Cambridgeshire, the home of No. 75(NZ) Squadron, part of No. 3 Group, Bomber Command. This was an RAF squadron formed from the ‘New Zealand Squadron’ in 1940 when the N.Z. government made their airmen and aircraft available to the RAF to help with the war effort. It was one of the larger, 3-flight squadrons which, between 1943 and 1944 had about 35 crews. By 1945 it seems that the squadron was practically ‘double-manned’, with two crews per aircraft, which would explain why Bob and his crew, who were assigned to ‘B’ Flight, flew in several different aircraft during their tour. My father, Robert Jay, was a Lancaster bomber flight engineer with No.75 (NZ) Squadron during the last few months of the war. He died at the age of just 55 in 1974 and in 2012 I decided to chronicle his war-time experiences for the benefit of the family members he was never to meet. All I had was a few photographs, his log book and the name of his pilot and the original intention was to describe his training and the operations in which he took part. Three years of research, the power of the internet and the generosity of numerous people have enabled me to publish so much more. I have been able to locate the families of all but one of his crew, four of them from New Zealand, and to tell some incredible stories of courage, sacrifice and disappointment.